Let’s face it, stress makes everything worse to some extent, but it can send misophonia into hyperdrive. So why does the misophonia seem to get so much worse when you’re feeling stressed? When you’re feeling relaxed you have more time and headspace to react to it. But when you’re already stressed your body goes into red alert mode and you don’t have that luxury. This is compounded by the face you’re locked in a heightened state of sensory awareness and start noticing everything around you. This can be handy if you’re in a high pressure situation and need to react to things quickly… but not so great if you’re a misophone and already super sensitive to certain noises, sounds or movements. Suddenly virtually every repetitive human noise becomes a trigger, everything a distraction. We also compound the stress further by subconsciously worrying about misophonia triggers that haven’t even occurred yet. A kind of pre-emptive stress where in the back of your mind you’re worried that you won’t be able to complete the task you’re working on because someone or something might trigger you at any time. It’s a bit like when you watching a scary movie and you’re just waiting for the knife wielding psychopath to leap out of the wardrobe. Constantly on tenterhooks. With all this going on, you’re less able to cope with the task in hand because as well as that primary stress, you’re also anticipating and worrying about, on a subconscious level, where the next misophonic trigger’s going to come from. When the enviable trigger sound does occur, it’s just too much and can send you into meltdown. The only coping mechanisms I’ve developed, that work for me, are to get away from the situation, even for a short time and focus entirely on something else. If I’ve got a lot on and I’m under pressure with deadlines, I make sure I can work from home. No sounds or distractions. If I’m in a situation I can’t escape from, I go outside and head to some green space for 15 minutes or so and release some endorphins. Have you found stress makes your misophonia worse and what do you do to cope? I 100% agree! Stress seems to be my #1 issue when it comes to Misophonia. When I am stressed everything drives me nuts haha 😛 But when I am relaxed, i can kinda tell myself it’s all good. Do you have a Facebook at all? Hey Vera, thanks for the comment. I totally agree. It’s like it turns the sensitivity dial up 10,000 percent. I haven’t set up a Facebook as yet, but there is a forum (you can get to it from the nav bar or via the homepage). Misophonia it’s so simple. The comment above bothers me. If she isn’t stressed out then she is just able to say it’s all good and deal with it. To me having misophonia is struggling with noises on a daily basis whether I am stressed or not. Stress for sure heightens the ability to cope with certain noises. I find myself getting into that rage space a lot faster. Like if I am stressed taking a test and someone is shaking there foot, chewing on gum, tapping their pencil etc. it makes things 10 times worse. I just found her comment offensive. I can’t just say “it’s all good” and be done with it. Misophonia doesn’t work that way. 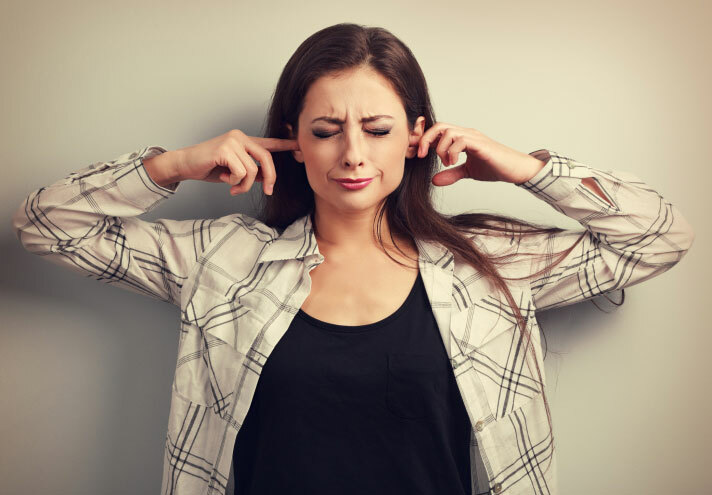 People who truly have misophonia will understand that that comment is not true for someone who truly suffers from misophonia. I appreciate all the articles and information you share. It is very helpful and is great to know I am looking not the only one who suffers from this. Thanks the comment Felecia, I’m so glad you’re finding the articles and information useful! 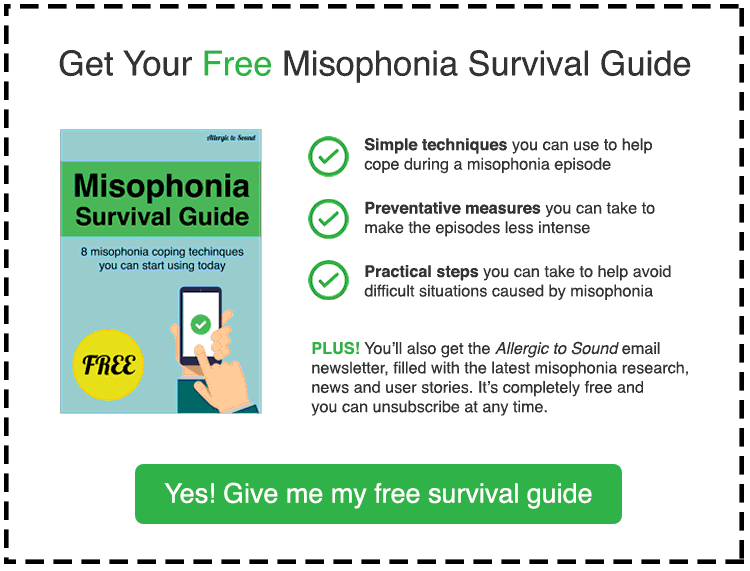 I don’t think Vera’s is saying misophonia is simple (don’t worry – we all know what hell misophonia can be!) I think she’s agreeing with both of us here in saying that when we’re less stressed we’re so much better equipped to deal with it, to the point where you can try to talk yourself down and tell yourself “it’s ok… you got this… it’s all good”. I’m not sure what you mean by ‘it would follow that the coping mechanism to stress is deficient’? I probably should have clarified in the article that misophonia and stress are entirely separate entities. Misophonia is not a stress disorder. However the one can certainly exacerbate the other (stress exacerbates many illnesses and disorders). Misophonia is characterised by a hyper sensitivity to certain (very specific) sounds. Though it causes stress, stress itself isn’t a trigger and a misophone in a silent room would not experience any trigger, no matter how anxious or stressed they were. However, increased stress in someone with misophonia can heighten their sensitivity and/or ability to cope.